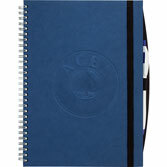 We offer a full line of lined journals, leather journals, spiral bound journals notebooks and personalized journals and diaries. All journals and notebooks come with lined sheets. 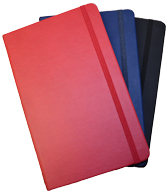 Some of our journals have insert choices of ruled or blank pages, a weekly calendar or an address book. 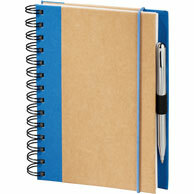 Keep track of your thoughts in a diary; date each entry and add a summary of your day. Write your creative stories down on each line for easier revisions later. Blank or personalized notebooks for you, a friend or a loved one.